Super blowout sale! Regularly $42. SALE $10!! Blowout we printed too many and we don't want to store them anymore sale price $10.00 includes shipping and handling to the lower 48, or eight dollars plus shipping and handling to wherever you are. 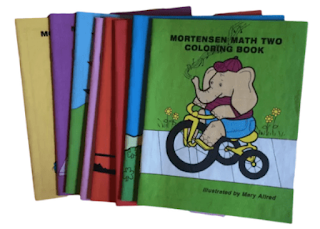 These coloring books are designed to begin your child's journey into multiplication. No limit on orders... 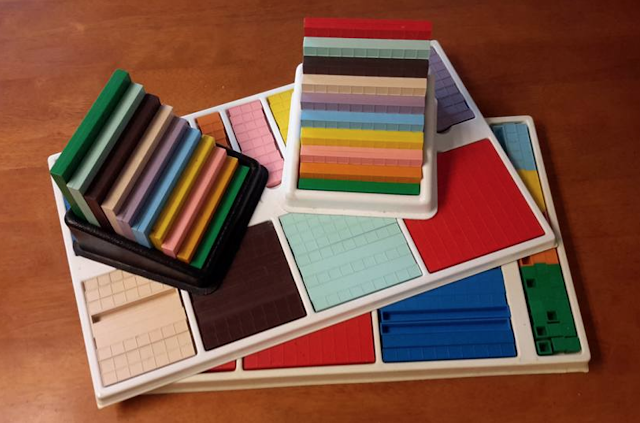 If you want to stock up as a distributor, or maybe hand these out as a freebie if you're a tutor... You might consider ordering a few sets. Suitable for children eight and under, older if they like coloring. Use this PayPal link. Include name address and phone number... Although I think Mortco is going to send them media mail. Books only: $42.00 NOW (Sale $8 + S&H outside lower 48) SALE $10!! What percent off are these sale prices? If you have trouble figuring out what a GREAT deal this is, spend some time on my percentages page. As I was working on my website I found this little gem. Notice the ® in the logo now, Crewton Ramone's House of Math is a registered trademark, if you don't see it you need to refresh your pages... It's definitely coming together and getting more organized. Mostly these were the videos that show you how to use the PDFs I made. I have better screen casting software now that makes MP4's instead of saving them in esoteric formats that no longer work. My one concern about the new organization and design is that people will go "in order" even though you can do Trig for eight-year-olds at anytime, the "advanced math" requires your ability to count nine, identify a rectangle and tell if something is same or different. It should be obvious to you that the "linear" way of teaching mathematics is an utter and complete failure. Mathematical concepts need to be taught "all at once"... You don't need to know how to multiply and subtract in order to do division, you need to understand concepts and be able to count. Subtraction and multiplication just make that counting fast and easy. I'm going to make a video shortly, that will show you how you can keep it very, very small, and teach HUGE concepts to toddlers, kindergartners or first-graders. Understanding trumps memorization every time. With a combination of understanding and visualization, you can do calculations and computations so quickly it looks like you have them memorized. I was watching a great documentary on fractals, Mandelbrot himself said that once he could SEE & visualize it, the symbols fell into place... Concrete first, drawings second, symbols third. I am considered dangerous in certain circles because I teach students HOW to think, despite my posts here I don't really care what you think...I actually enjoy it most when people disagree on common reality. But would not the world be a better place if everyone could think well? People wouldn't be putting poison into cancer patients and calling it "therapy" for one, they couldn't have gotten away with the lies after September 2001... Instead, I watch people poison their loved ones, and had to listen to people who were supposed to be able to do physics make insane explanations for buildings in freefall... And then standby as we destroyed entire countries killing hundreds of thousands of children based 100% on provable lies. Mathematics, critical thinking, logic and reason have everything to do with science, medicine, politics and even religion... Meantime most people are stuck at computation, and confuse computation with the mathematics. Computation is how we DO the mathematics, once you understand concepts all we can do is change the numbers but the concept remains the same. Look for a video here soon. Go here for a better explanation: password info. 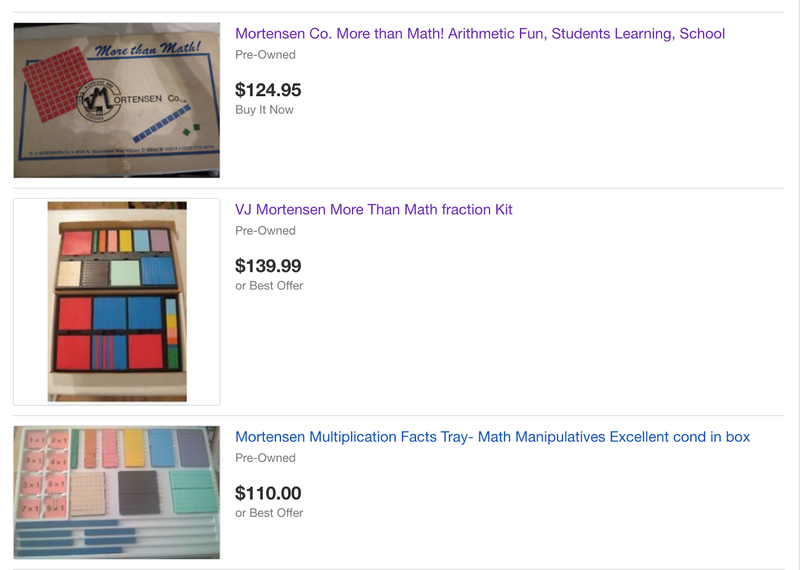 Currently, Mortensen company has been filling orders in about 2 to 4 weeks, instead of the usual 6-8. But I'm not making any promises. I have no control over their shipping. But I've added a lot of new content. 10 hours of my time for tutoring is $400.00--If you buy five sessions in advance (200.00 @ 5 Sessions)...Otherwise it's $50 an hour. I notice quite a few people that I've taught charge more than I do...Some of them over $100 an hour. Website is being worked on: price buttons and so forth will be changed. Right now I'm just going around taking down old payment buttons. If you try to use an old button you will simply get a refund. There are hours and hours and hours (I don't even have it totaled up) of both training which gives you "The Theory" along with many more hours of sample lessons & videos where you can "sit in" on tutoring sessions so you can see Theory in practice. There are literally hundreds of videos. Most homeschools, only have one hangup, that of course is the mathematics & how to teach it. I consistently get e-mail from parents who are worried about the math portion of their homeschool because they are concerned that they won't be able to teach it, or worse will transfer their fear and loathing of math to their children. The idea that my website can show you how to make math fun is foreign. But I've got the testimonials to prove it. So as always, before I raise prices I give you one last chance to act before prices go up. Fourth of July SALE is over. I've had many internet marketers tell me I should be selling it for $999.00 Because of all the stuff you get and the fact that it's unique content. I always enjoy it when people smugly tell me that they'll just get it someplace else. If you can find training, PDFs & videos that show you how to teach little kids mathematics for cheaper than this please let me know about it too...I've seen other companies charge $499.00 For a half day training...or $699.00 for a Saturday and Sunday morning. This is lifetime access to a plethora of videos and information, and now it's even sort of organized. For a little while I was silly and I got rid of (wasn't selling) lifetime passwords and was only doing annuals, but annuals turn out to be a whole lot more work so now I'll be getting rid off annuals and you can only get lifetimes...But if you want an annual use the link above. Try to remember that even though it says advanced mathematics the skill set you need is the ability to count to 9, be able to form a rectangle and tell me whether something is same or different...It will of course help if you've gone through some of the other material first but you should be able to use most of Module IV, even if you've never seen The Mortensen Method before. In order to get the most out of passwords you need blocks. Any base 10 blocks will do, But of course I'm partial to The Mortensen blocks even though their Shipping & Fulfillment is infuriating. So here are some packages. No Multipay or 10 Pays Available. Reg: $420.00 + $399.00 = $819. Or buy either at full price and I'll throw in Module one (Or module two or four, but not module three) for just $50 more. You get lifetime access. Combo kit is a top tray and a bottom tray, Combo Kit combo comes with 1 combo kit plus 1 set of multi tens, Deluxe combo Kit combo comes with two sets of multi tens, pictured above. Depending on how you look at it, you're either getting a serious discount or you're basically getting the blocks for free. 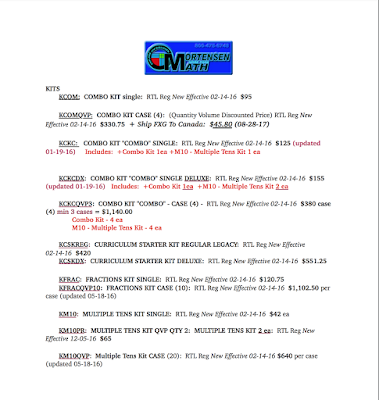 Remember when, Combo kits were on sale for $65.00? And I told you this was a real sale that wasn't going to last, & would probably never be repeated? Well, once again this is a real sale...I've been selling passwords pretty consistently for $353.50. Lately I've been selling quite a few passwords in India. People are always amazed at how much bang that they get for the buck. I try to over deliver to make up for Mortensen Company's under delivering...or perhaps you could save late delivering. You WILL get your blocks. Eventually. But like I said recently orders have been being filled much more rapidly than usual, so take advantage of the sale. Prices continue to go up, as does shipping. Waiting becomes costly. Take advantage of the sale prices. I know a lot of you don't have cash on hand. So if you need me to, I will send you an invoice. That way you can pay with a any credit card if you need to...Just contact me here. If you are ordering product include your name address and phone number.